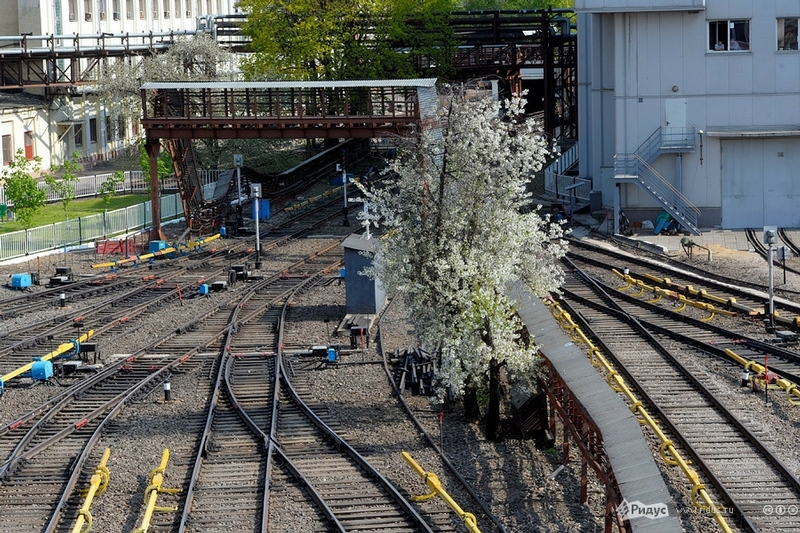 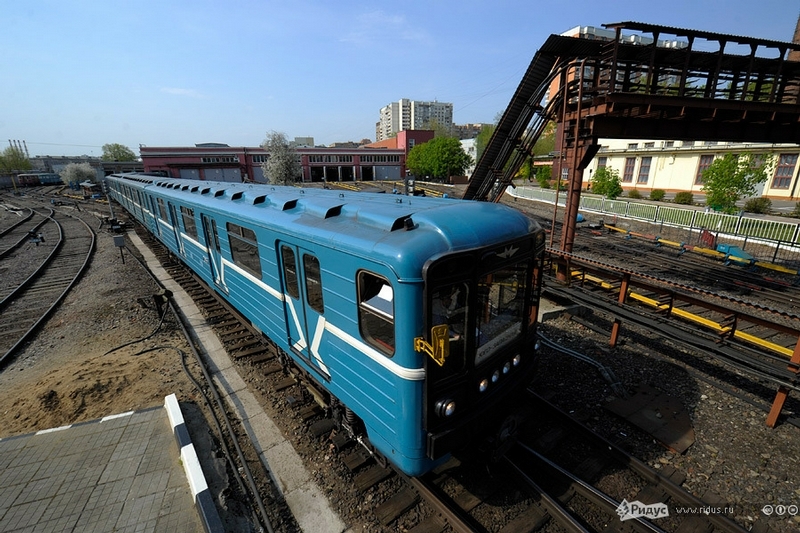 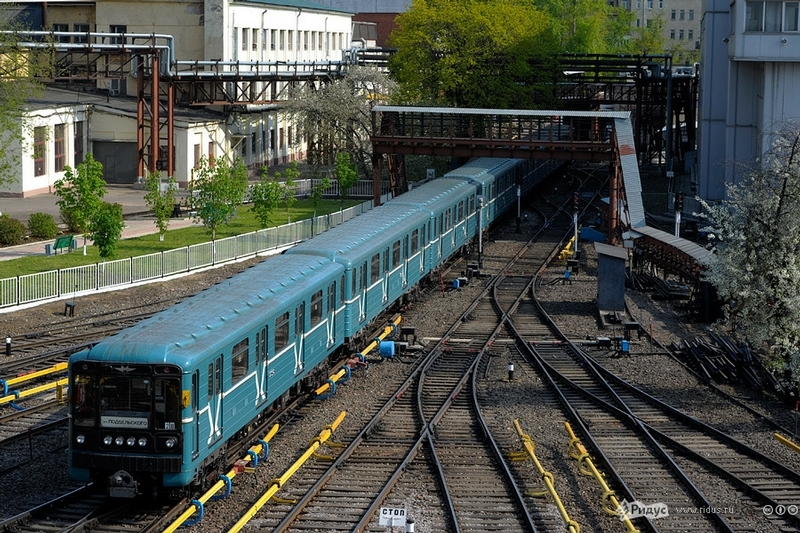 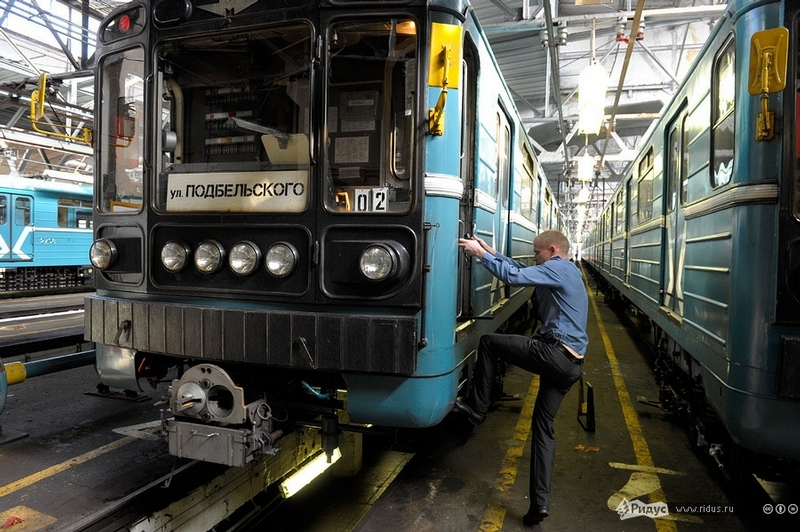 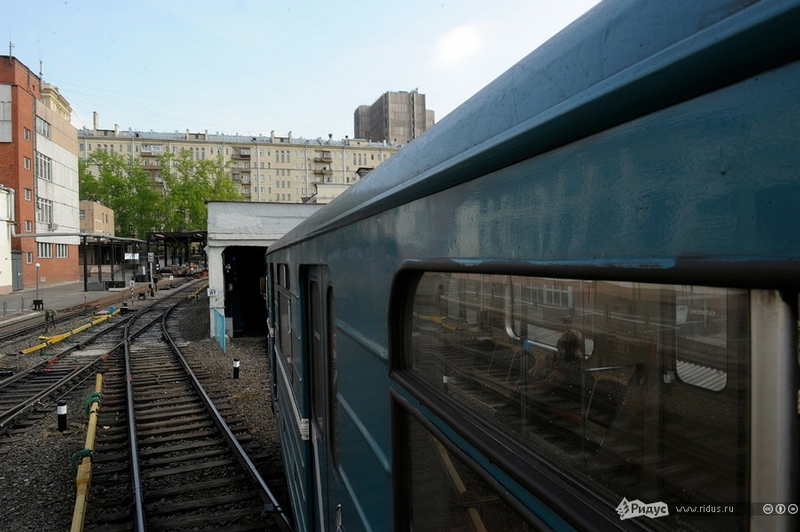 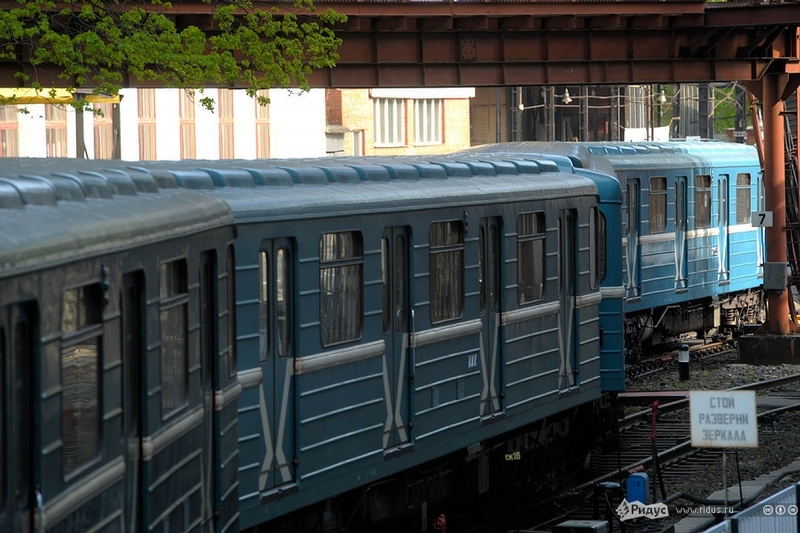 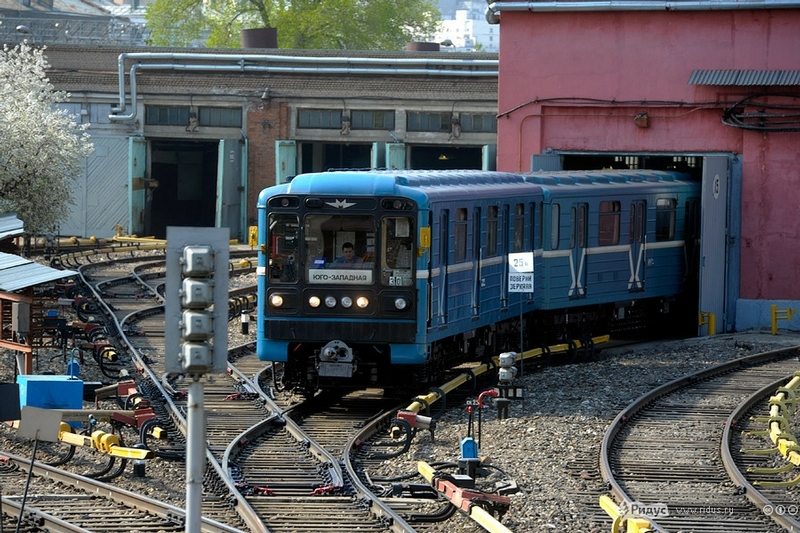 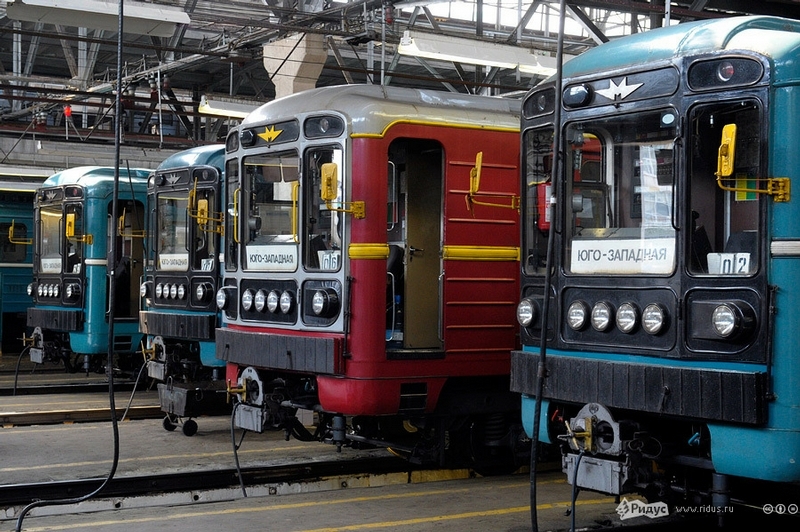 In May, 15, 1935 the first trains began to operate in Moscow. 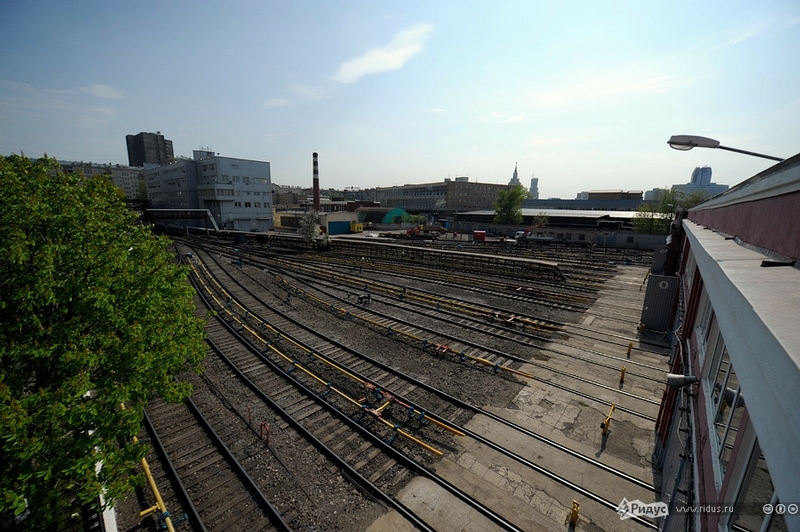 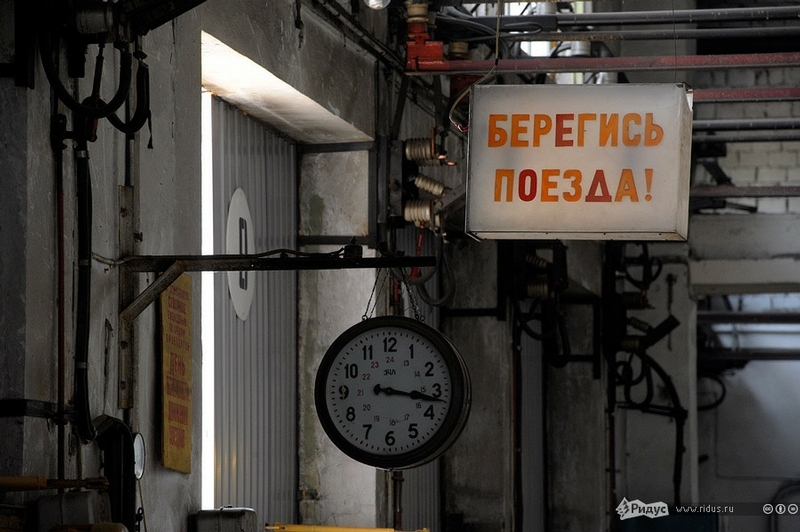 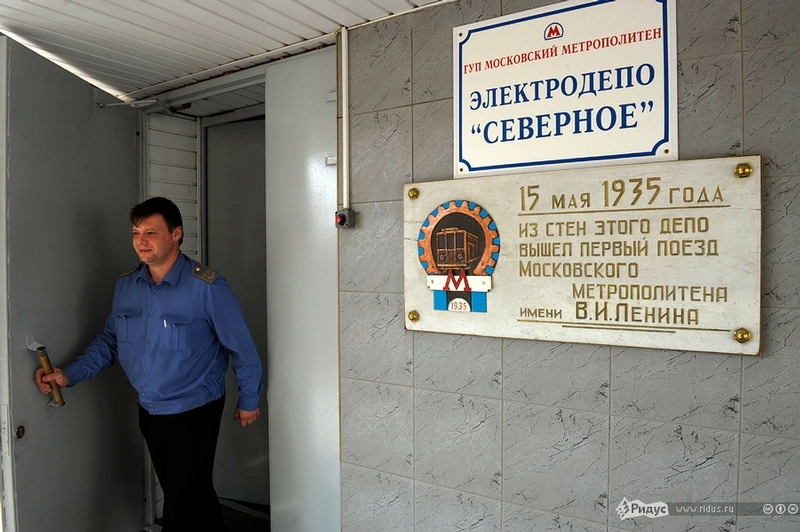 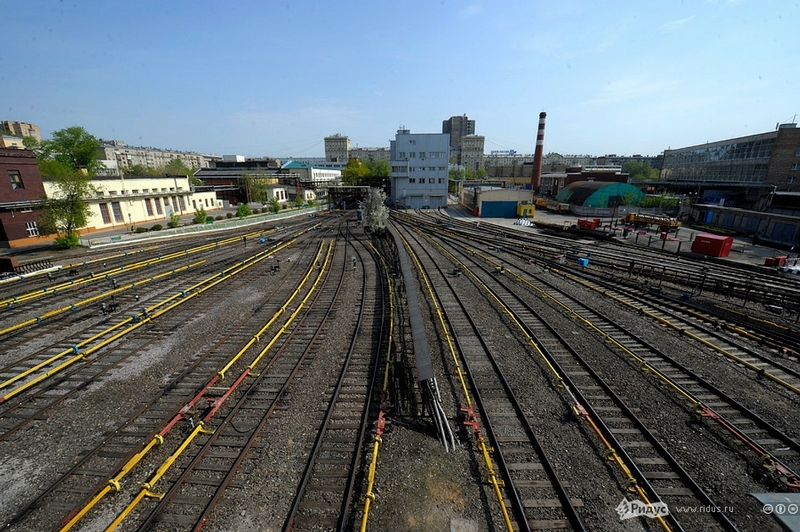 They started from the depot “Severnoye” (“Northern”), the first depot of the Moscow metropolitan. 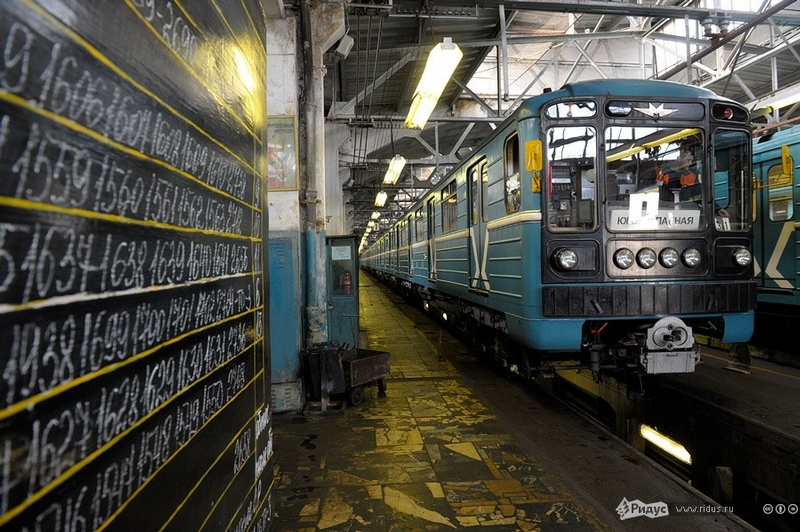 It has been serving the metro passengers for 77 years already. 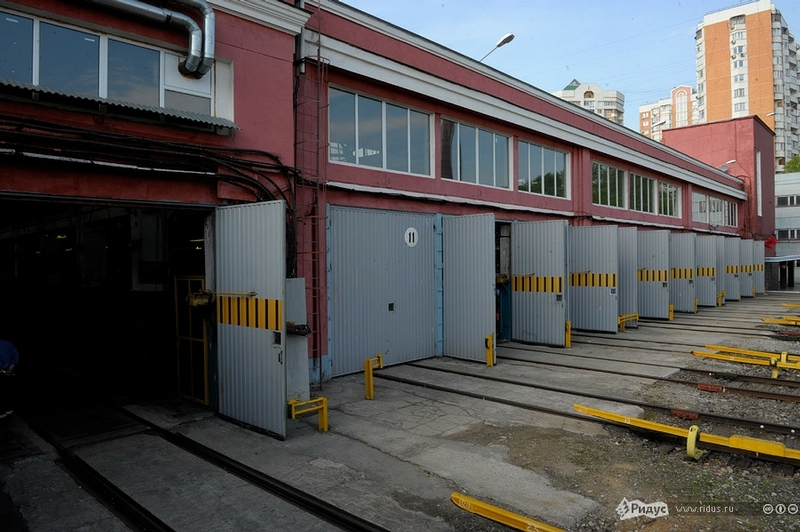 The big territory on Krasnoprudnaya street is the whole metro agglomeration: apart from the depot there are an escalator repair plant, a metro fire department, a motor depot, police department and some other services there. 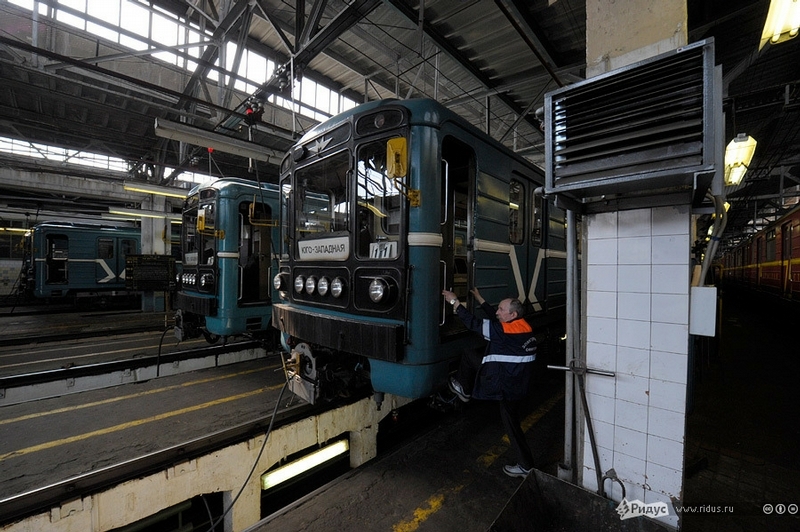 “Nothern” depot serves the Sokolnicheskaya metro line. 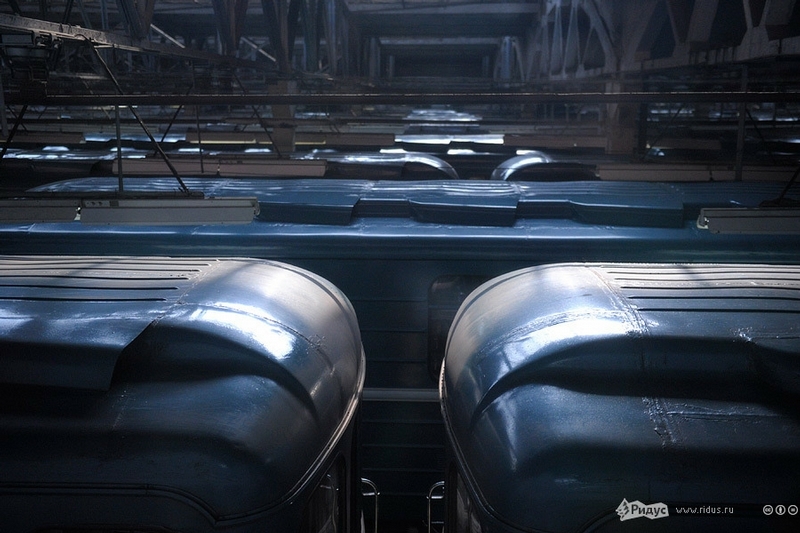 There are 32 main trains there and a single reserve train. 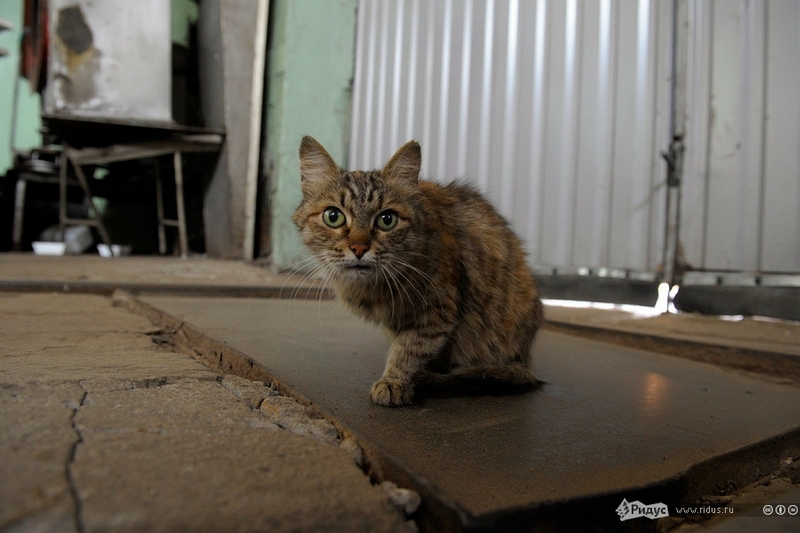 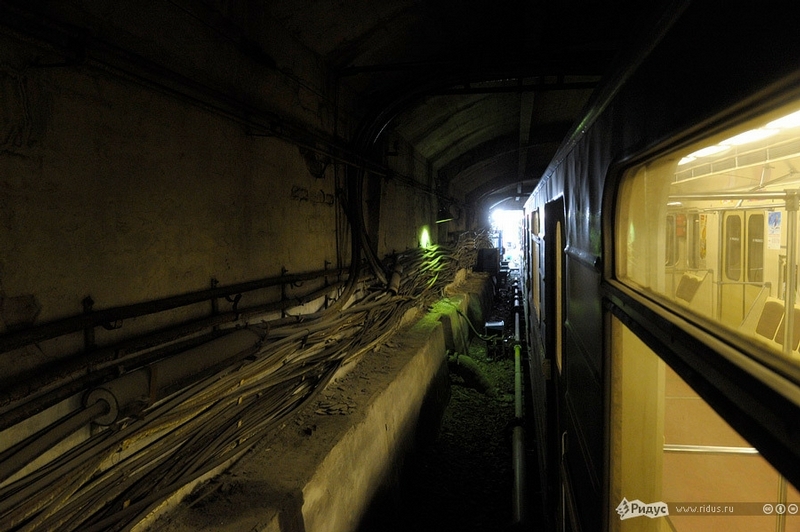 19 of them spend a night in the depot, 14 – on the line, right in the tunnels. 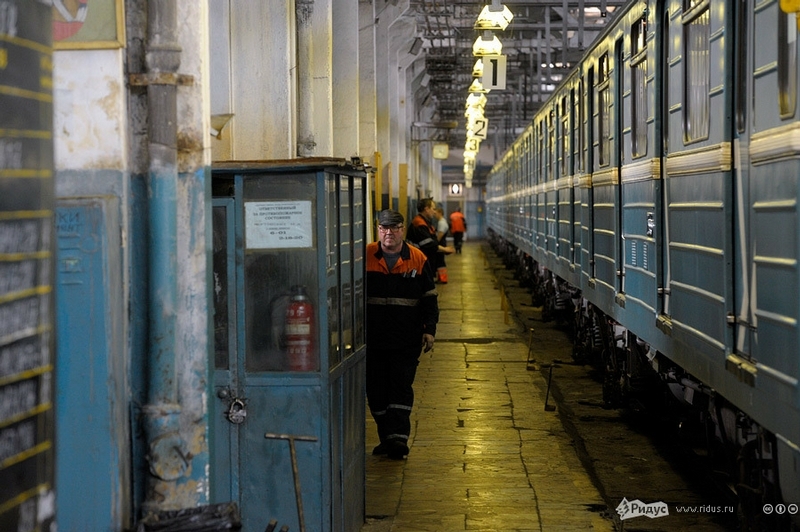 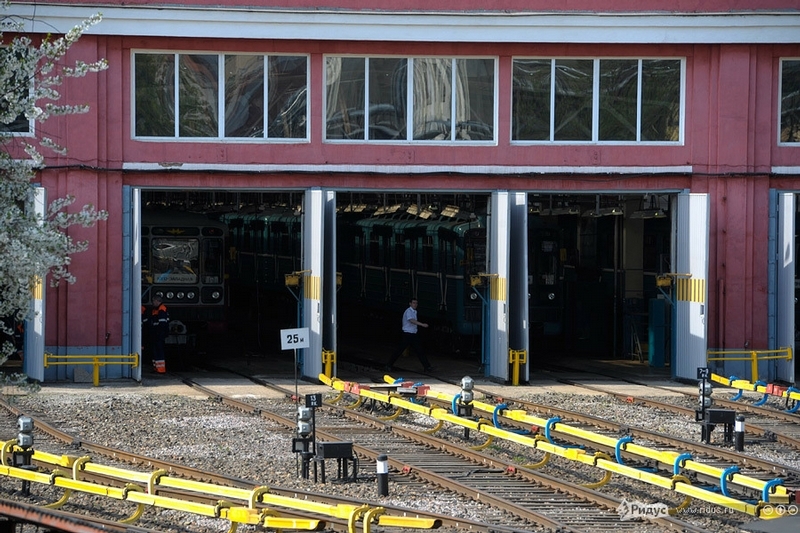 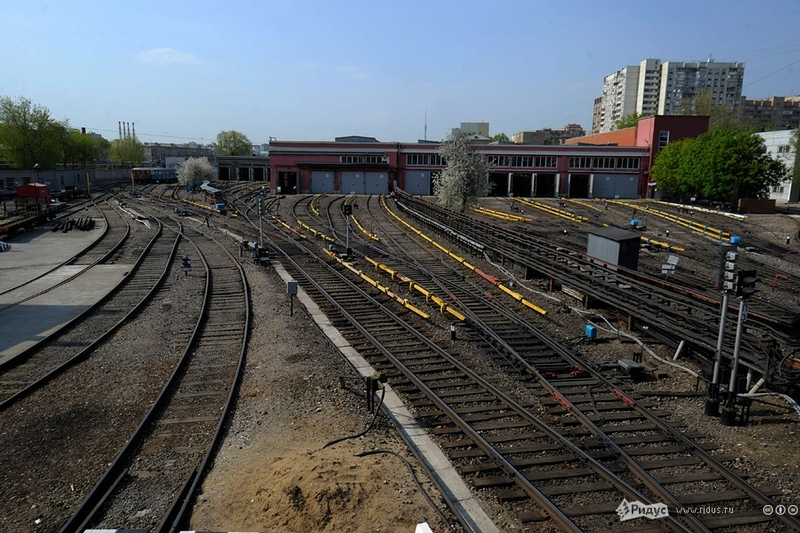 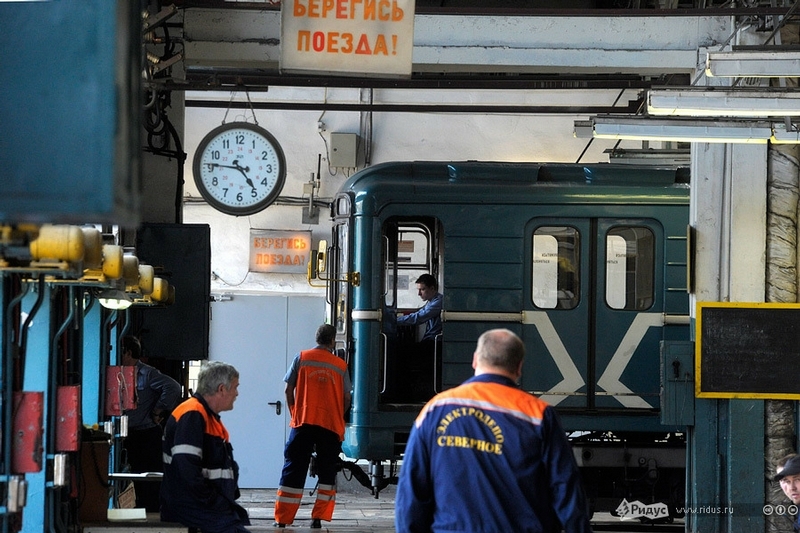 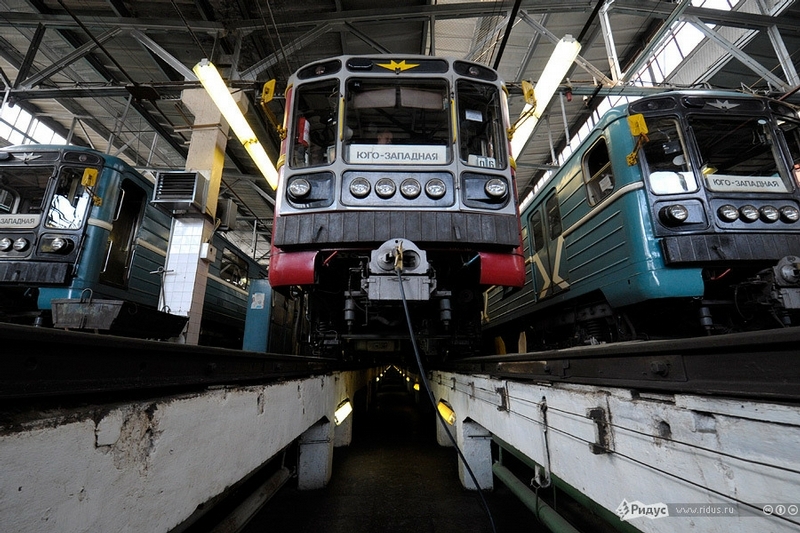 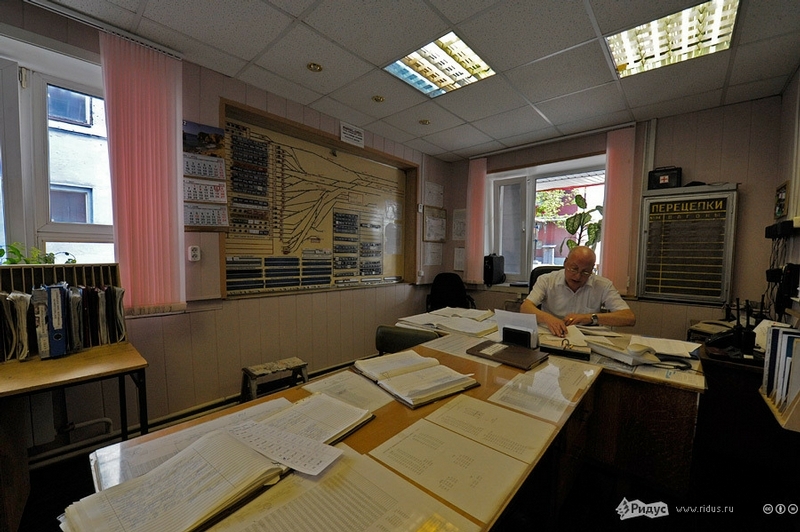 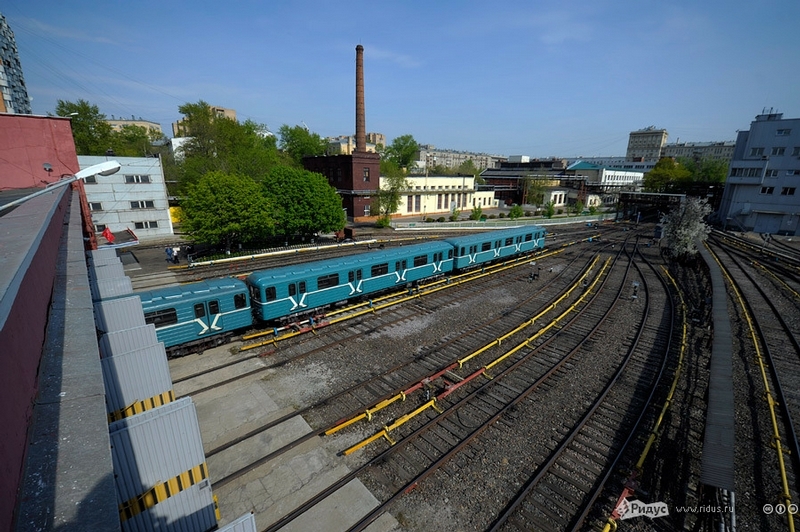 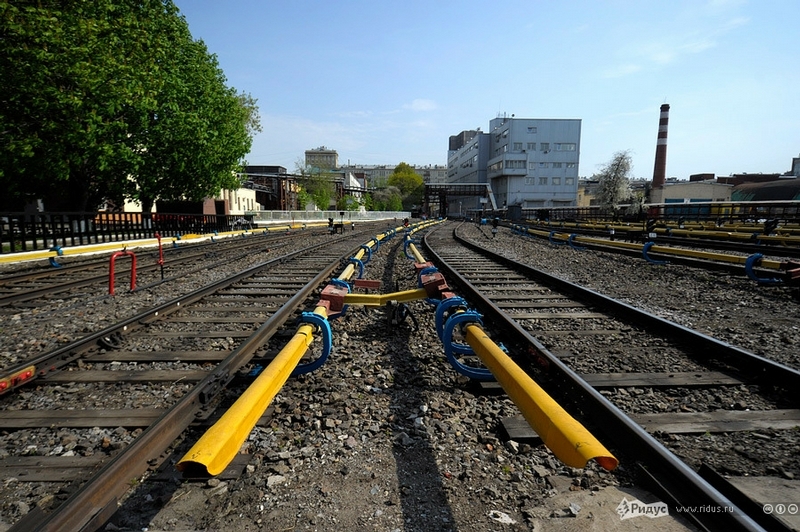 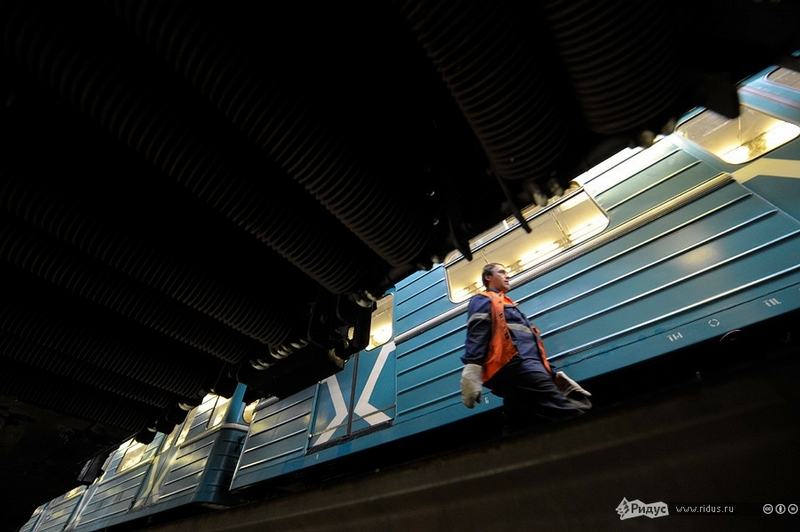 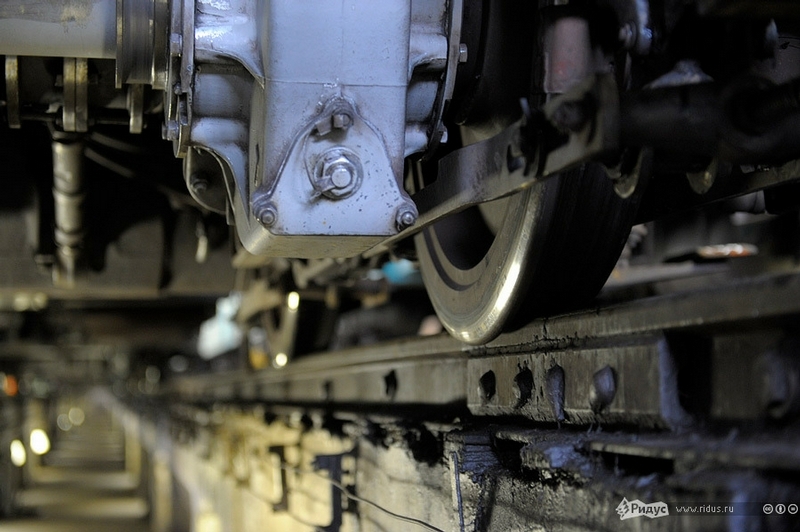 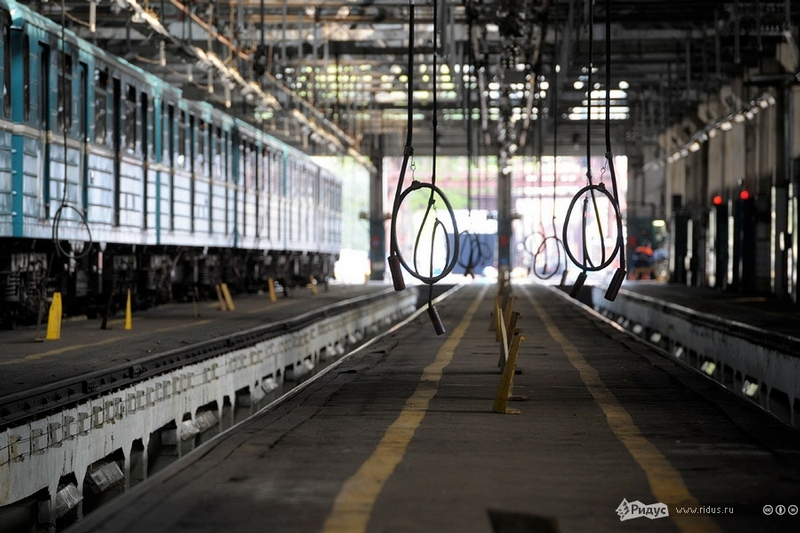 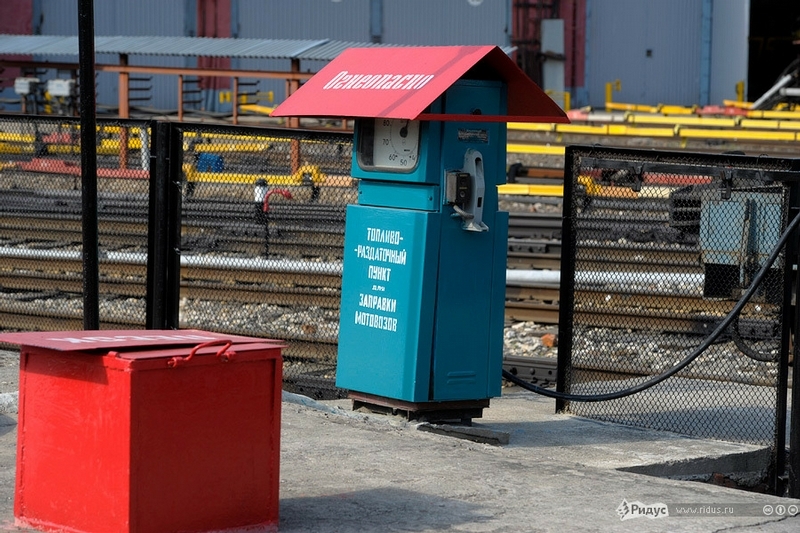 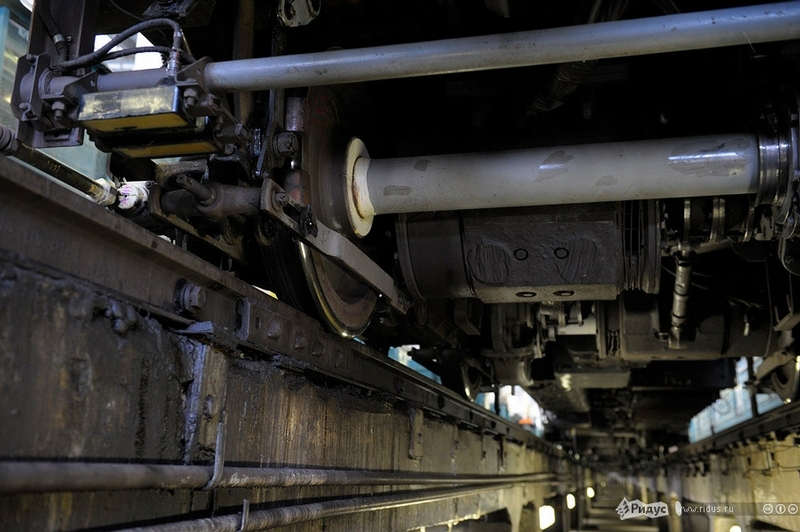 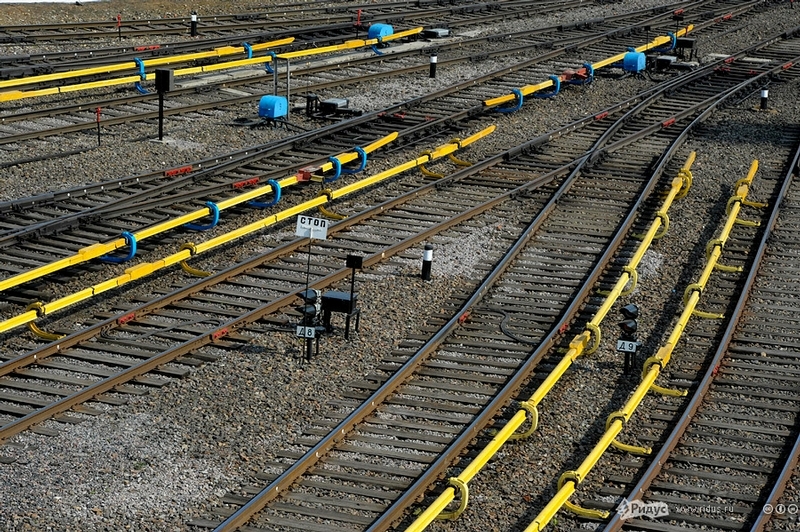 But the main function of the depot is repair and technical maintenance of the trains. 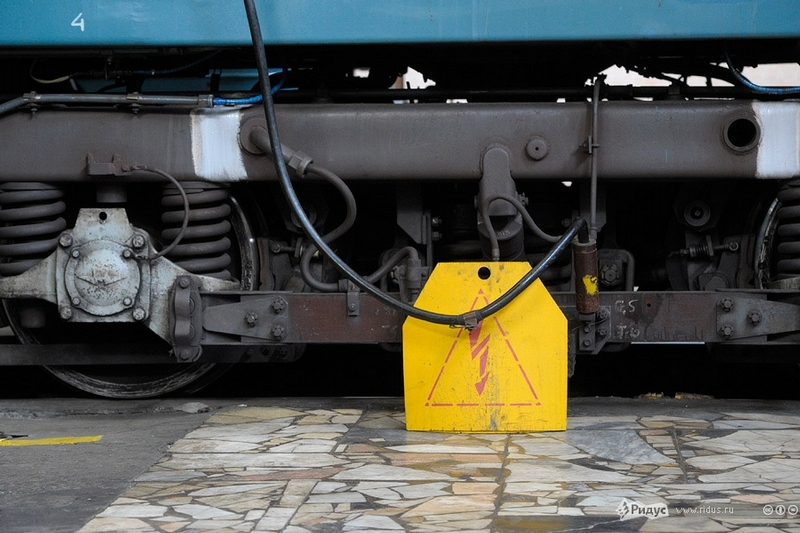 If some defect is revealed on the line it is emergency. 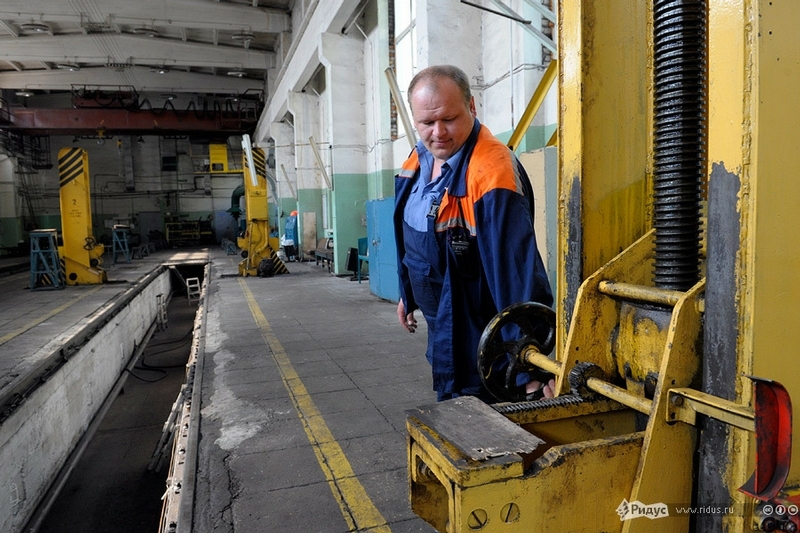 Wheelpair turning machine, while use wheelpairs often grind off unevenly. 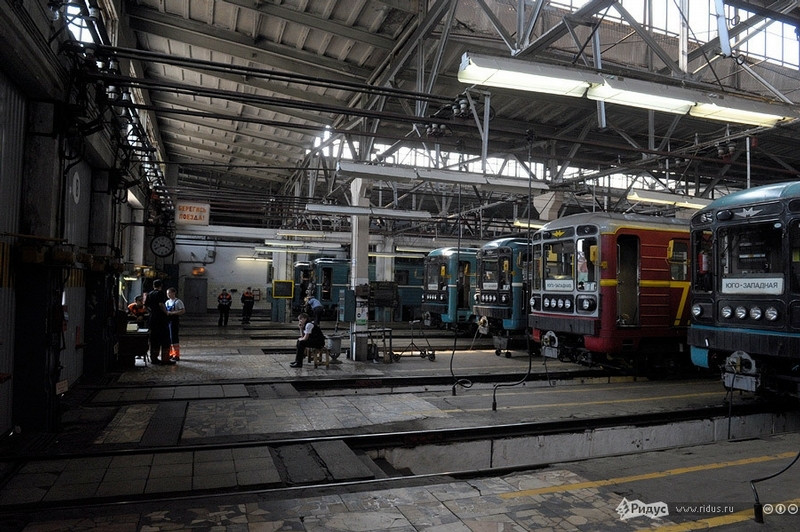 Here the trains are washed once a week. 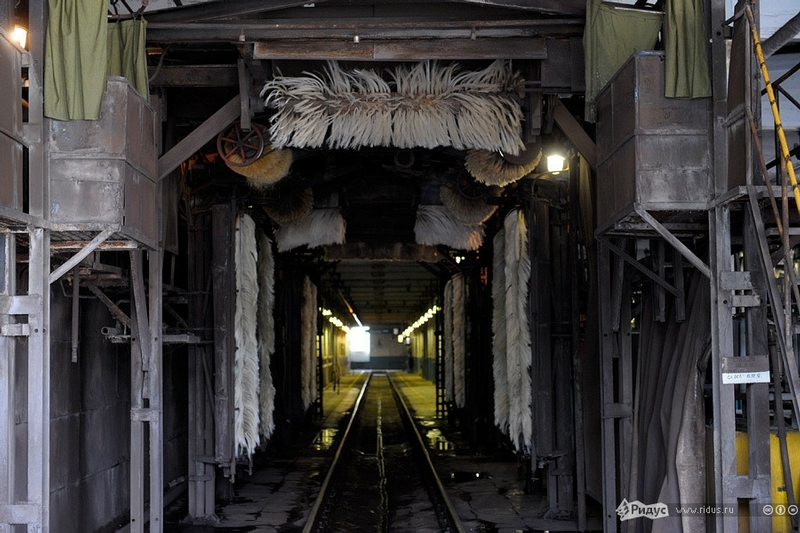 Apart from water procedures they enter the purge chamber to remove dust and oil. 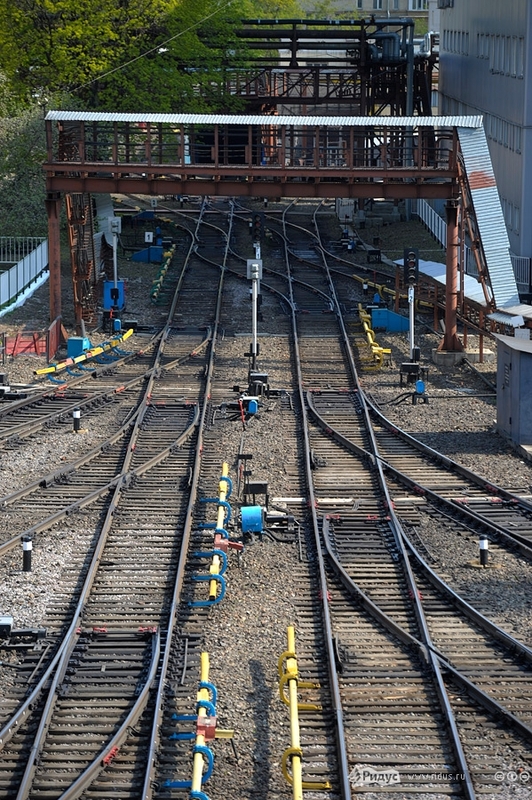 While on the line the trains get current through the contact rail. 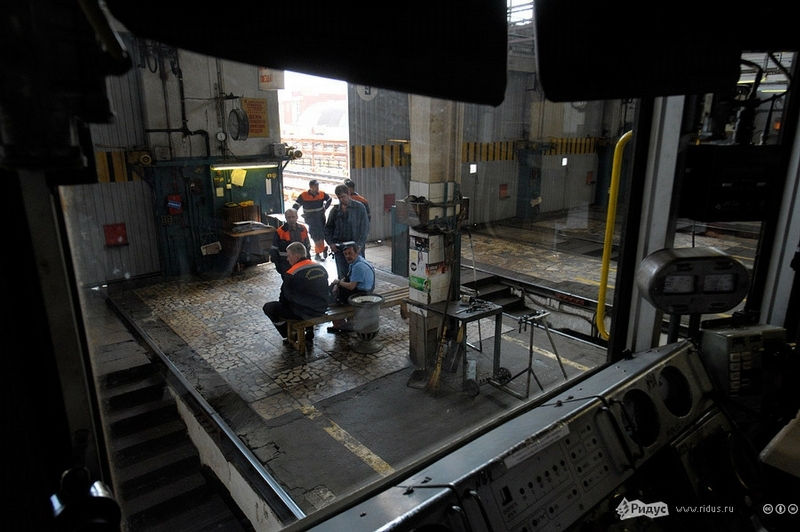 750 people work in the depot, 176 of them are operators, 500 are repairmen. 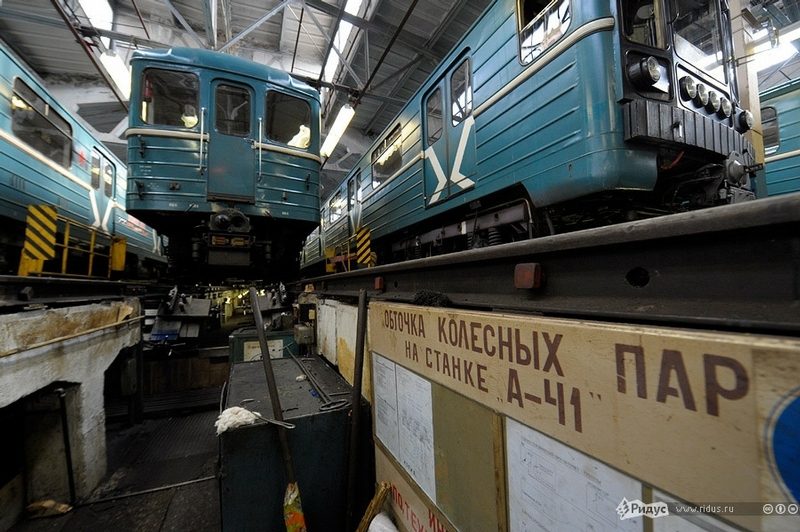 The shop of elevating repair. 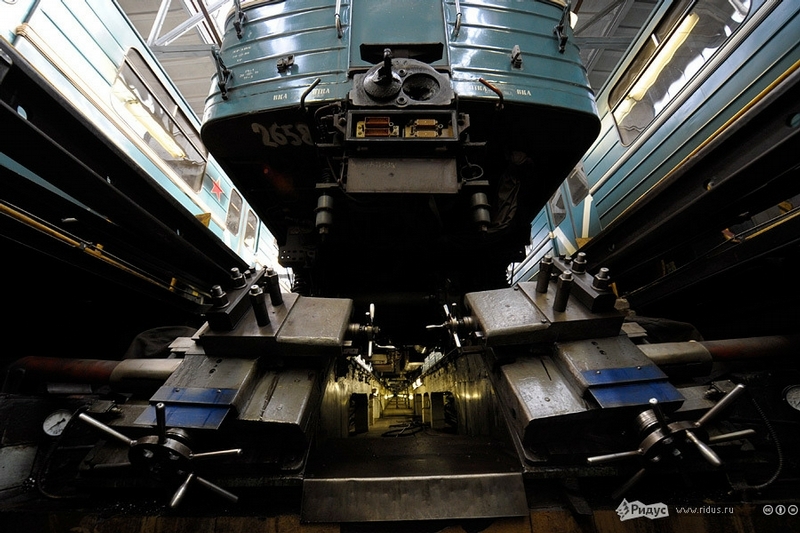 32-tonned cars are loaded on elevators for replacement of wheelpairs, traction engines, motor-compressors etc. 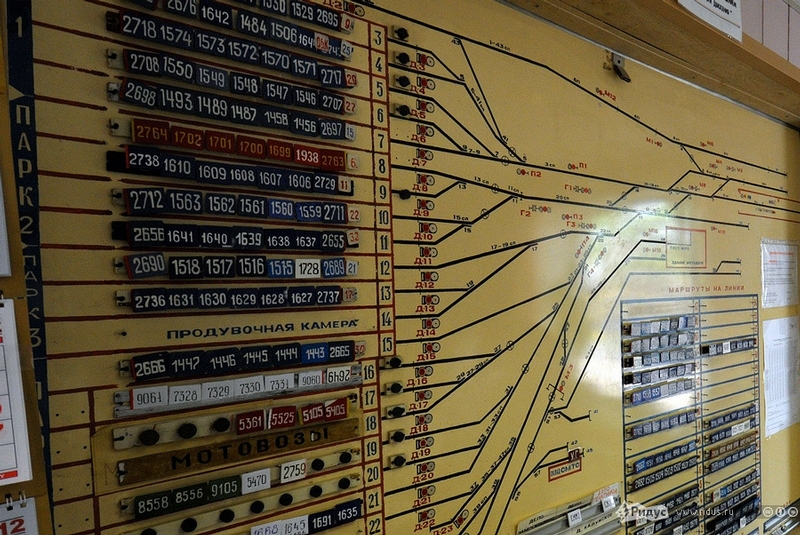 Track indicator with all trains. 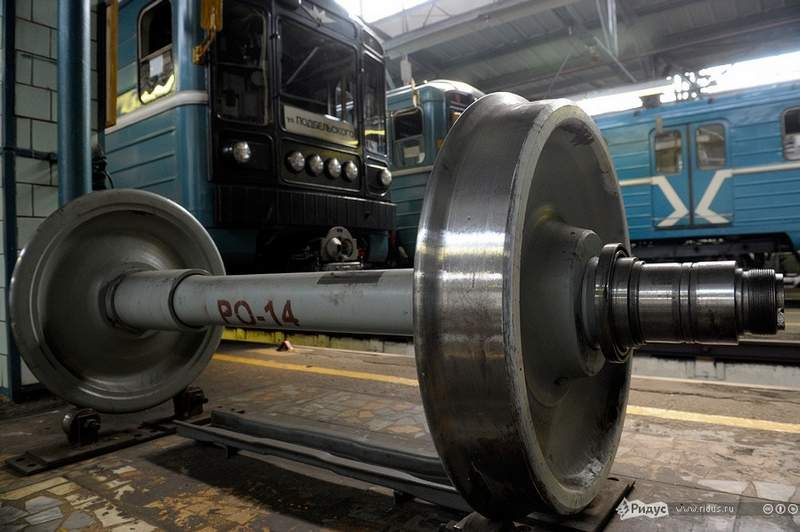 The thing is rare, the heritage of the USSR. 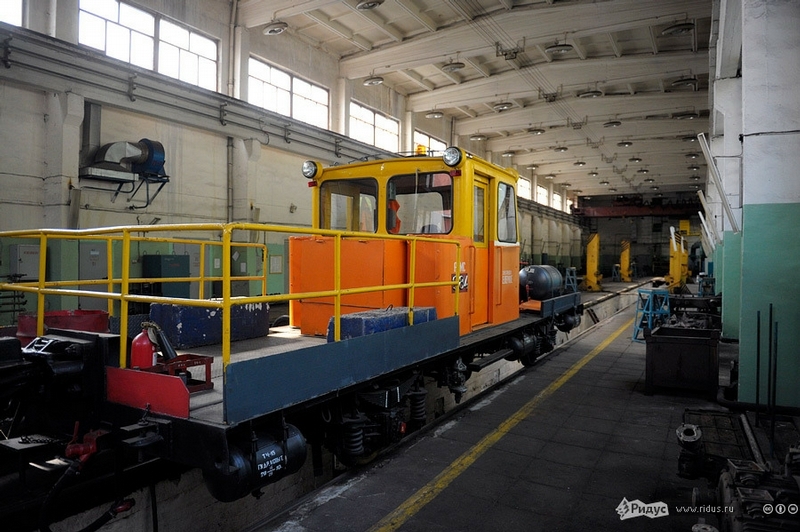 Locotractors are used to carry the repairmen in the tunnels at night. 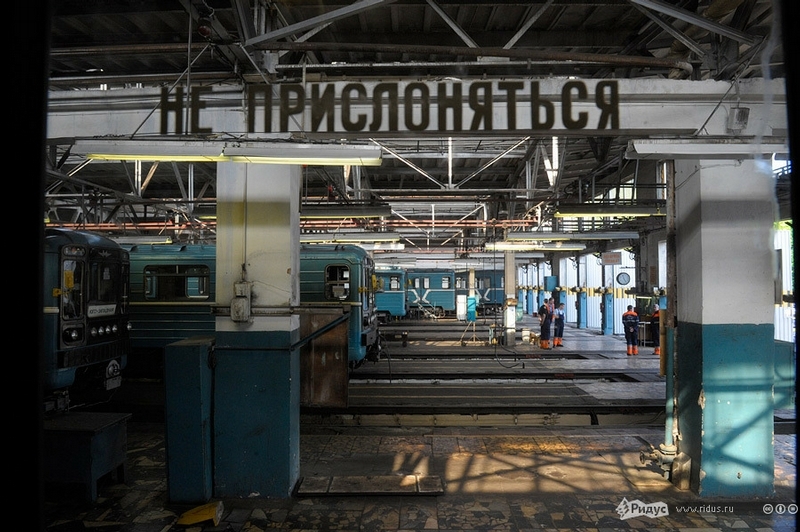 There is a special service station for them in the depot. 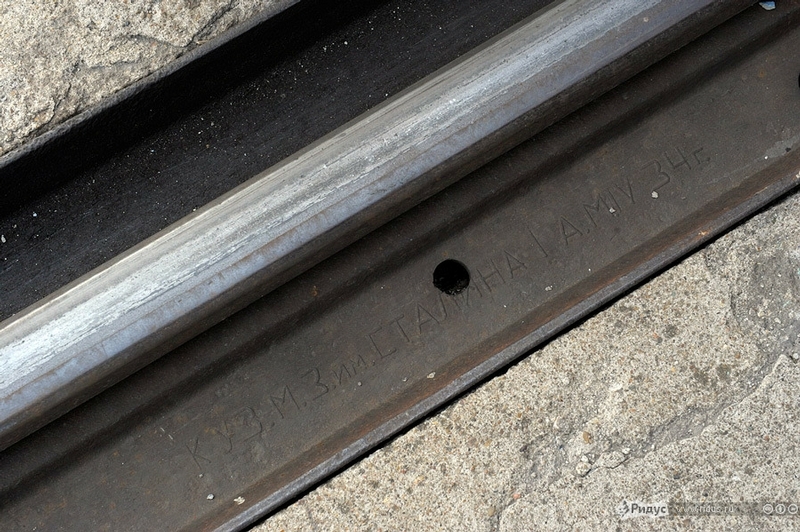 Another rarity of the Soviet epoch – the rail marked with the name of Stalin and the date – 1934. 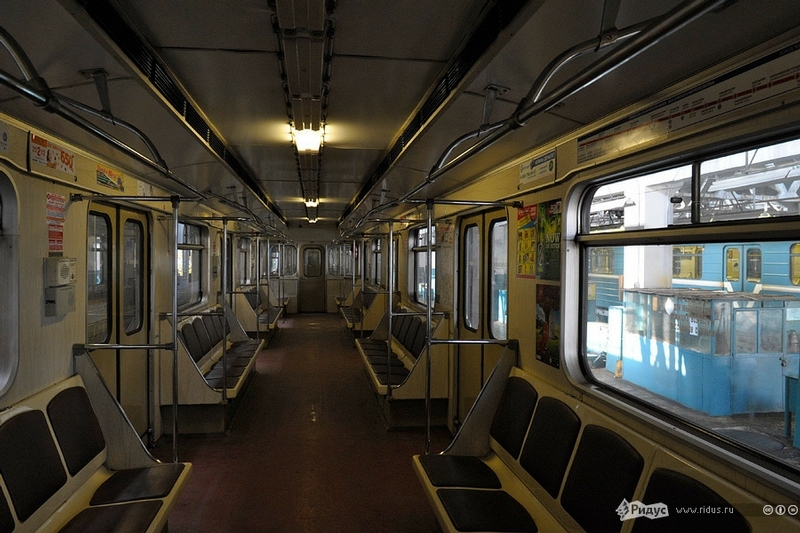 Passengers hardly think of how many people work in order they could go by metro.